Welcome to our honey shop! 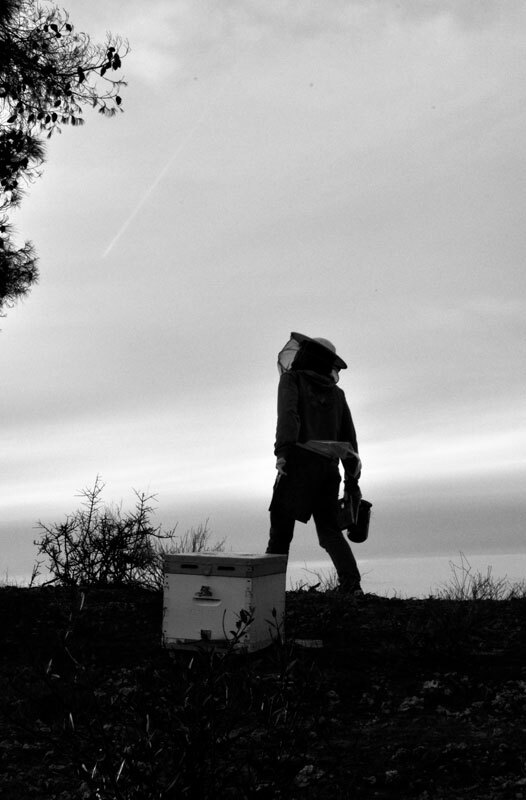 “I started working with bees in 2012. Apart from some unfortunate stings as a child, I had no particular desire to meet them. Events and discussions that winter, however, made me want to work with bees, so intensely in such a way that many hours were spent studying books and articles concerning every aspect of the bee, its world and its ways. I believed that frequent studying during the winter months and the wait had my abilities as a beekeeper grow inside of me. Then spring came and I obtained my first two beehives. I opened them and suddenly I had already forgotten the pages, the manuals and advice from beekeepers and teachers worldwide. How was I to remember, alone and without previous experience in front of this small magical creature not tamed, though often having this illusion? Slowly, frequently-with mistakes and rarely with small conquests, I began to get to know them. My beehives grew in numbers, along with my patience and my knowledge combined, always thinking and believing you know there is everything to know about them. When I used to go walking, I wasn’t really touched from the natural environment, though clearly respected by me, I was not particularly concerned. Since I got involved with bees, every drive or walk is a search, a question if one or the other plant has bees on them and if not now, maybe some other time it will be attracted to these plants when light and moisture are different. Bees helped me understand the meaning of the ‘natural environment’, it is not just a place to go out, but a way to live. Today, years after that first idea to work with bees, I maintain a large number of beehives and, I am no longer alone. Friends, valuable helpers, in all kinds of work and transport, thank you all.